This post contains affiliate links. Purchases made with these links help with the running of this site. One of the monthly subscriptions that we rely heavily on as a homeschooling family is our subscription to Little Passports. Once a month, we receive a package in the mail for the World Edition kit. Included in each package is a letter from our LP hosts, Sam and Sofia, a country sticker for placing on our LP suitcase (you get it when you first subscribe), a country "stamp" (sticker) for your LP passport, a pushpin map marker (a sticker that you can place on the world map you also receive at the beginning), a double-sided activity page, a photograph from the country, a boarding pass with a code that you can enter on the Little Passports website for additional interactive activities, and finally, some sort of craft of souvenir from the country. Anyway, to celebrate their 5th birthday, Little Passports has an incredible giveaway in the works! You can win a 12-month subscription to one of the best learning tools for your children, Little Passports. Enter now and you could have your own subscription by the end of the month, as well as some of the hottest toys on the market from Melissa and Doug! This prize is valued at $250, but let's be serious...you cannot put a price on your child learning fun facts about the world we live in! 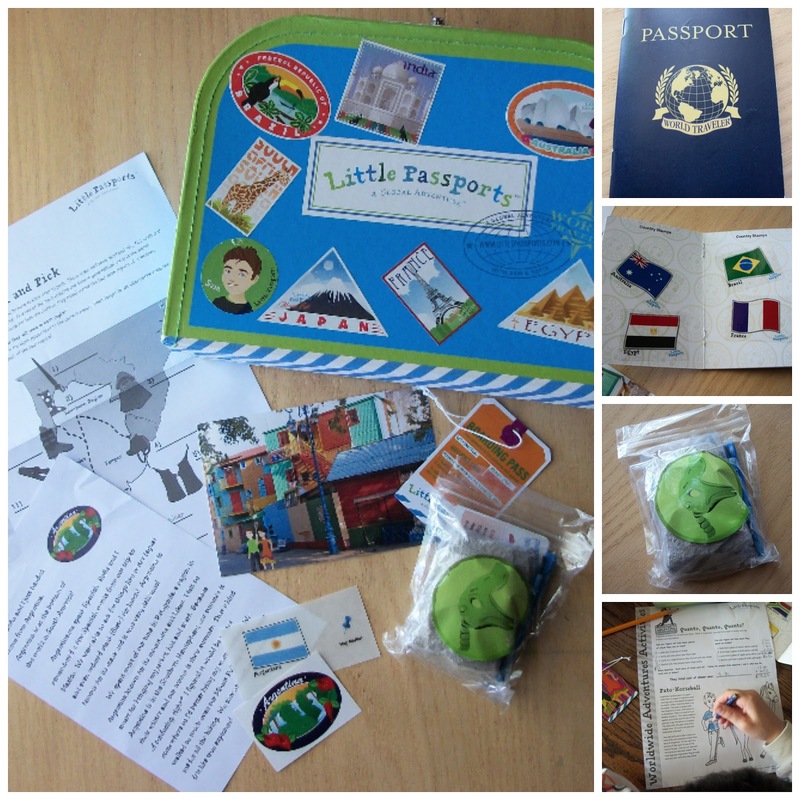 Little Passports allows your child to develop knowledge on all kinds of different historical figures, eras, locations and traditions, turning them into a true citizen of the world. And YES...it is super fun!